PLEASE NOTE: It is impossible to provide “exact” prices on our website because we need to examine your garment to provide a quote. 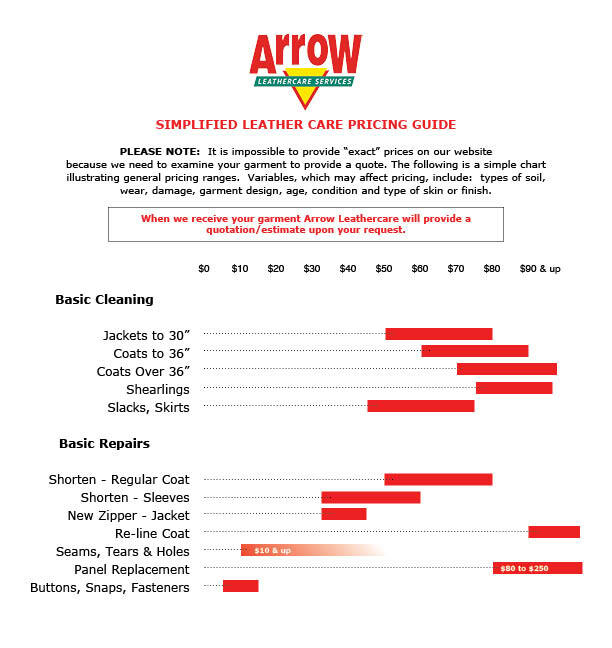 The following is a simple chart illustrating general pricing ranges. Variables, which may affect pricing, include: types of soil, wear, damage, garment design, age, condition and type of skin or finish.